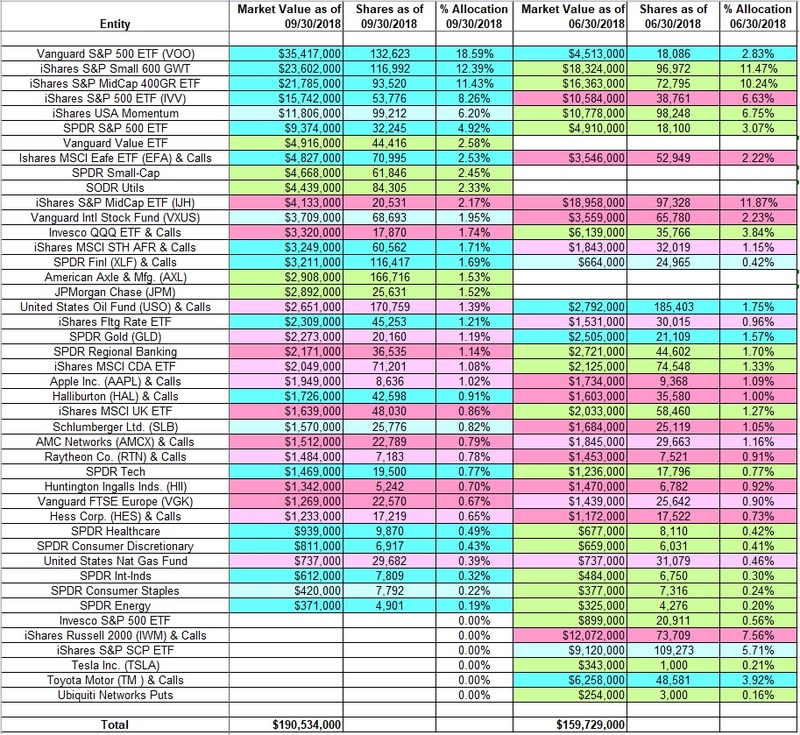 Jim Chanos’ 13F portfolio value increased from $160M to $191M this quarter. Kynikos dropped Toyota Motor (TM) and iShares Russell 2000 Index (IWM) during the quarter. Jim Chanos’ 13F portfolio value increased ~19% from $160M to $191M this quarter. Recent 13F reports show around 40 positions. As Kynikos is focused on short-selling, his long positions covered in the 13F are probably hedged. For an introduction to short-selling, check-out the book "Short Stories from the Stock Market: Uncovering Common Themes Behind Falling Stocks to Find Uncommon Short Ideas".